The sister finally got a job offer, so the two of us went to celebrate! 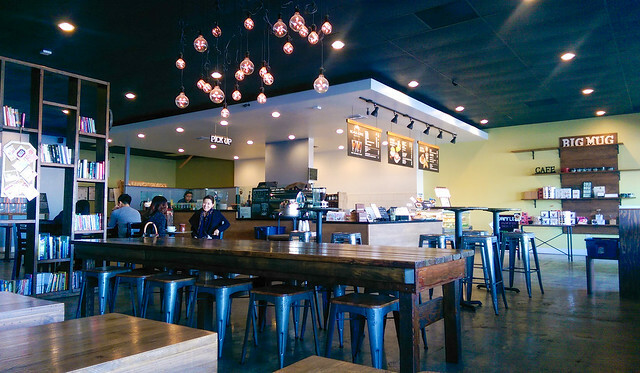 We got coffee at Big Mug, which opened last March. Big Mug is a Korean-owned coffee shop / café, and that is evident from its bookcase which contained a mix of Korean and English books. 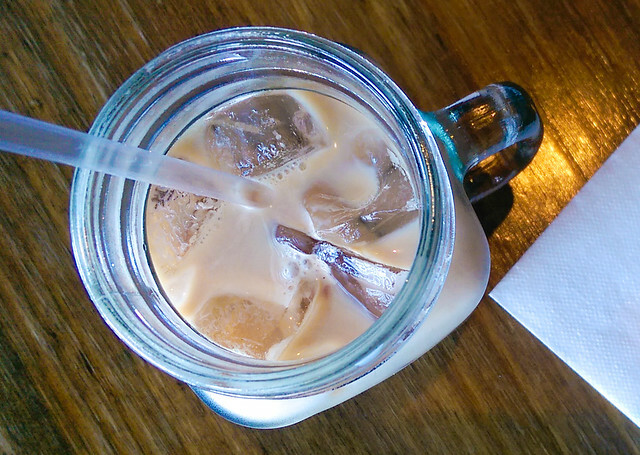 Big Mug serves Verve Coffee and also carries dessert (affogato, ice cream, waffles, toast). If you’re here to chill for a while, I highly recommend sitting at a ‘proper’ table. My sister and I sat at one of the smaller tables against the wall, which has a long bench against the wall for all the small tables (bottom left in photo above) and a stool that’s barely shorter than the table’s height. I sat on the stool awkwardly and my knees were kicking the table. And, this is coming from a person with a height of 5 feet and 2 inches! 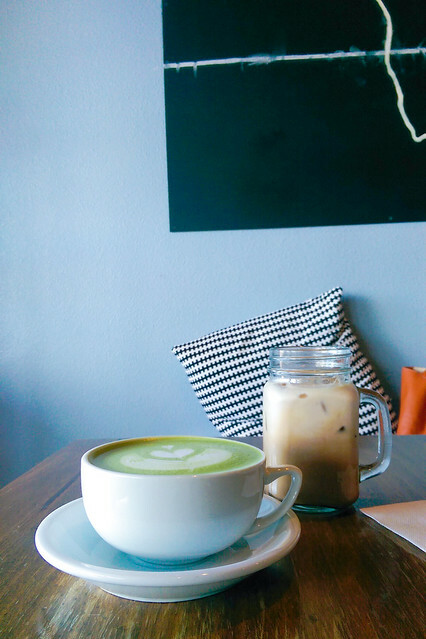 I ordered a green tea latte while my sister ordered an iced mocha. Both drinks were delicious! 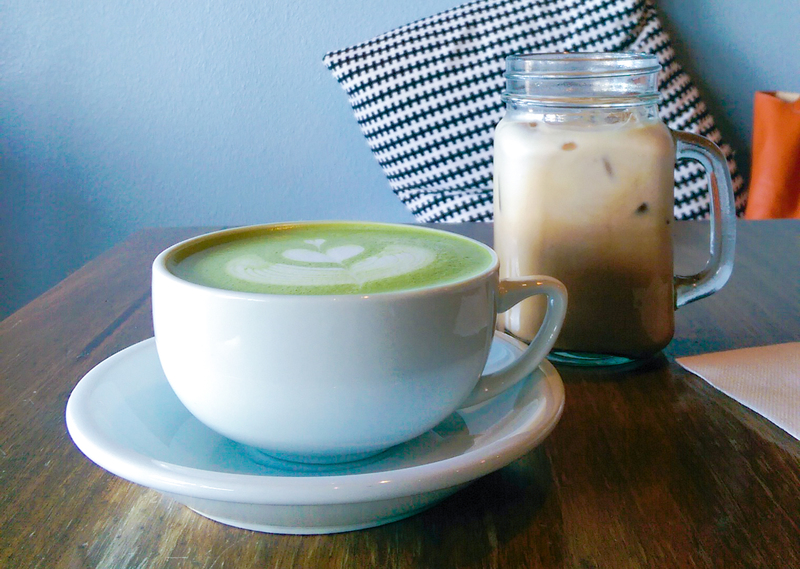 The green tea latte is bold in matcha flavor, and the iced mocha wasn’t bitter (a plus for me, as I don’t particularly like chocolate). I actually came here several days ago with a friend, for dessert. We ordered a waffle with green tea ice cream, which also came with a cookie roll! 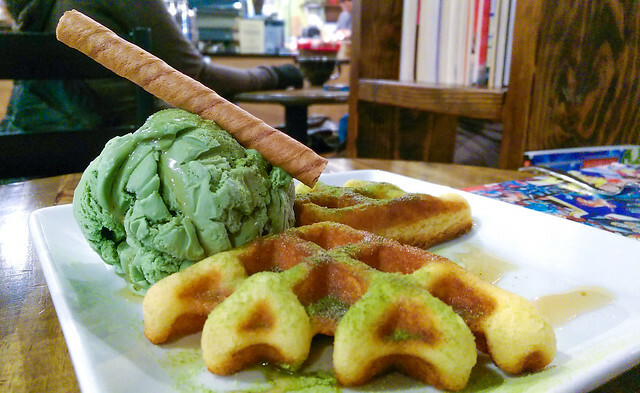 There was maple syrup on top of the Belgian waffles and ice cream, and matcha powder sprinkled on the waffle. 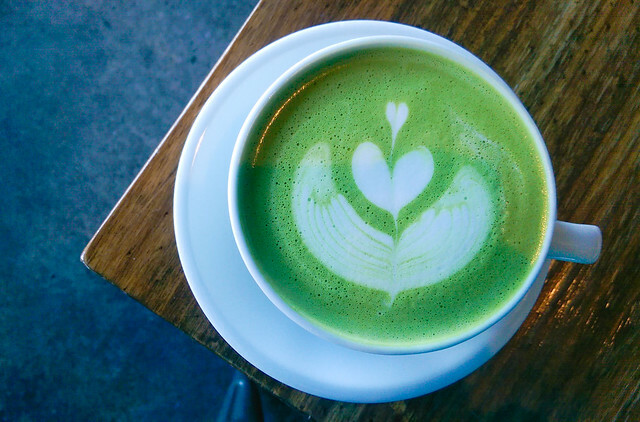 Big Mug quickly became one of my favorite coffee shops in the South Bay, and I’m always looking forwards to my next visit!